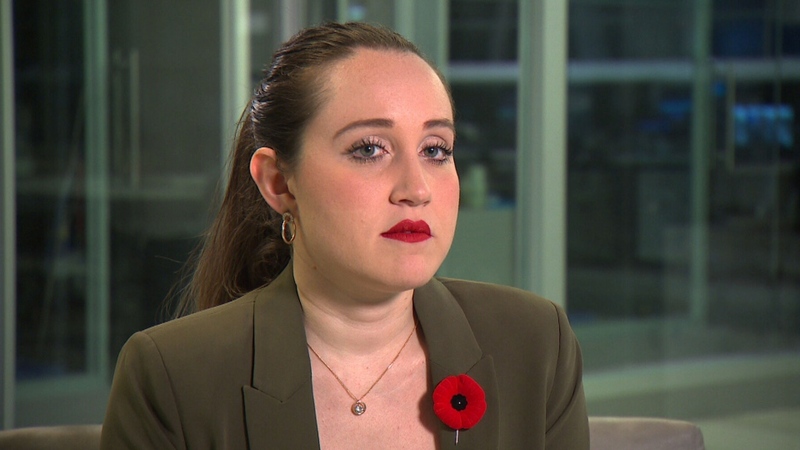 Claire McWatt was just 23 years old and launching her career in politics when she followed MP Tony Clement on Twitter. "As a young woman in politics, you follow lots of people in politics. So I wasn't expecting to be followed back,” she told CTV News. But soon after that, the married father of three began sending McWatt private messages and tried to spark a discussion about the scandal involving then-Toronto mayor Rob Ford. “He was hoping to have a conversation and I was not going to have that conversation,” McWatt said. "I could recognize where it was going and kind of shut it down." She acted quickly because she had heard about other young women who had similar experiences with Clement. McWatt said a friend had messaged her asking: “Who is Tony Clement? He's following me on Instagram and liking all my pictures. It's so weird." McWatt is now an aide to a Toronto city councillor and a member of the NDP. McWatt decided to go public with her story this week after Clement admitted he'd been targeted for extortion after sending sexually-explicit images of himself to someone online. Since then, McWatt and other women have shared similar stories online. On Friday, a women's group in Clement's Ontario riding of Parry Sound—Muskoka launched a petition calling on him to resign as their MP. 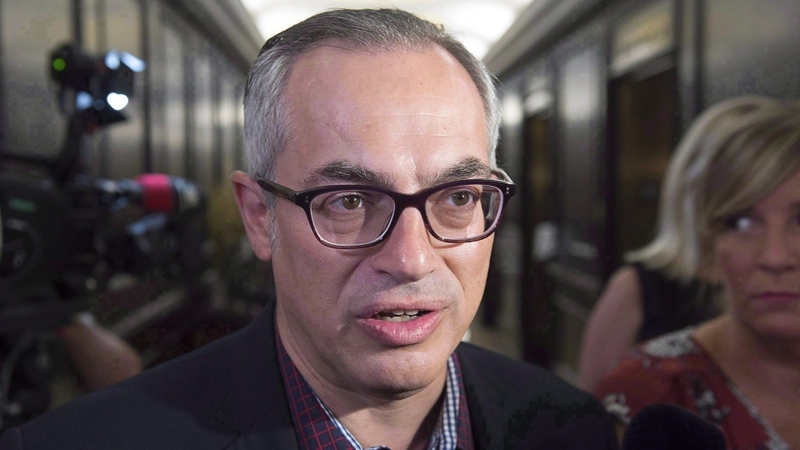 “If Tony Clement is no longer fit to serve on key parliamentary committees, or as a member of his party's caucus, then he is clearly unfit to serve as the Member of Parliament for Parry Sound – Muskoka," one of the protesters said. Clement, 57, was kicked out of the Conservative Party caucus this week for the sexting scandal. Leaders cited concerns that he could have been compromised over national security. He left the parliamentary security and intelligence oversight committee. In an open letter to constituents this week, Clement apologized to "anyone else who felt in any way that I crossed online boundaries that made them feel uncomfortable, even without my knowing. I am deeply sorry." But he stopped short of stepping down as an MP. There is no indication that Clement intends to do so. MPs are off next week and aren't scheduled back in Ottawa until later this month. Social media experts said Clement’s experience is a cautionary tale for politicians. Sherrilynne Starkie, a social media consultant at Strategic Digital Communications, said if you wouldn’t do it in person, don’t do it on social media. "If you wouldn't do it in real life, if you wouldn't follow a 25-year-old woman home in the dark, then don't do it online,” she said. “Behave with integrity." Claire McWatt says she became uncomfortable when MP Tony Clement started sending her private messages late at night.